Motorized citrus press in the iconic style of the 50s. 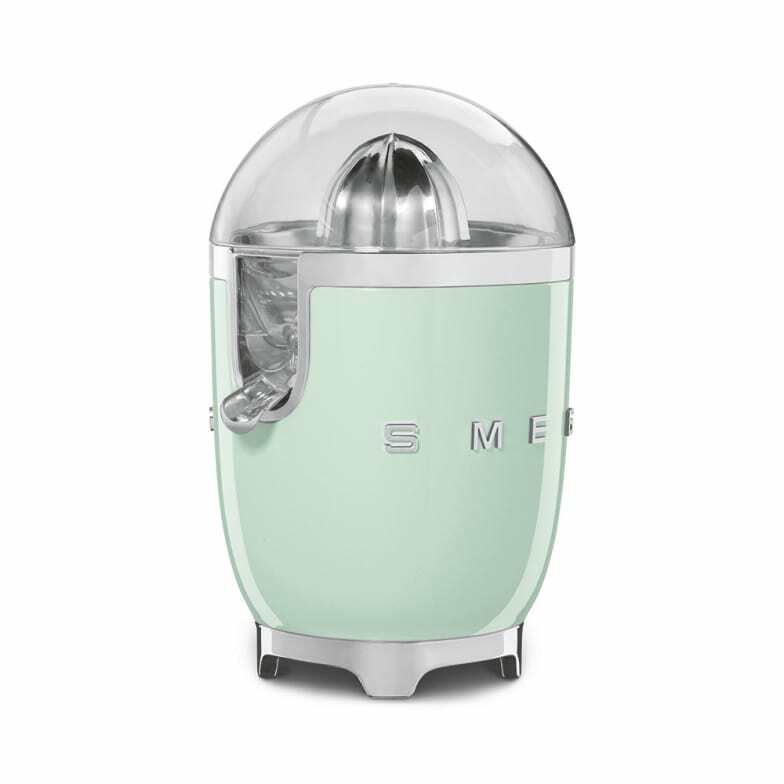 Enjoy freshly squeezed juice at home with the Smeg citrus juicer. The elegant aluminim housing in the design of the 1950s with premium fruit press and filter strainer made of stainless steel presses the fruit juice from oranges, grapefruits or lemons in no time at all. The powerful motor with automatic start / stop function makes it easy to squeeze out by light pressure. The juice is collected in the juice extraction bowl made of Tritan TM (BPA-free) and can be filled into a glass via the stainless steel spout with anti-drip function. Fresh vitamins to drink for in between meals. Do you have a question about "CJF01"? How can we contact you?